I get massive shoe envy. Particularly when I’m on my luxury travels and want some fabulous shoes to complete an outfit then see THE perfect pair, only on someone else. This is the case with those gorgeous 70s block heel shoes we see today worn by the likes of Kate Moss, Cara Delevingne, Rita Ora, Jessie J, Lady GaGa and amongst others. Well, now I’ve figured out their secret; Terry de Havilland London Shoes. I need look no further! The Terry de Havilland name has a fascinating history which dates back over 50 years. It was started in London’s East end by bespoke shoemaker Terry de Havilland. Their huge breakthrough came in the late 60s when the then editor of Queen magazine, Annie Treherne, featured their iconic 70s block heel shoes in the magazine. Understandably considering what an awe-inspiring shoe this is, they were an instant smash hit. The shoe has continued to define and inspire trends in the fashion industry for the next decade and beyond. Terry de Havilland himself was given a Lifetime Achievement award by the fashion industry in 2011 in recognition of his huge contribution. As well as being in shops, many of the iconic block heel shoe designs from the 70’s are displayed in design museums around the world. The most famous being the iconic Margaux wedge, designed in 1973; it is a design classic and remains a popular star of the collection to this day. Lucky for us, the brand continues to thrive in the cutthroat world of fashion. Stocked throughout the world in some of the best luxury stores, it’s the go-to range for head-turning shoes that add an extra dash of sass to an outfit. For the classic jaw-dropping heels that MAKE your evening look, choose from a huge array of platform heels, stilettos, and wedges, all designed to impress and stand out. It’s not just night time either, for a quirky and original look every day, there is a great range of trainers and flats too. And in the chillier months, their bold and beautiful boots complete any outfit. 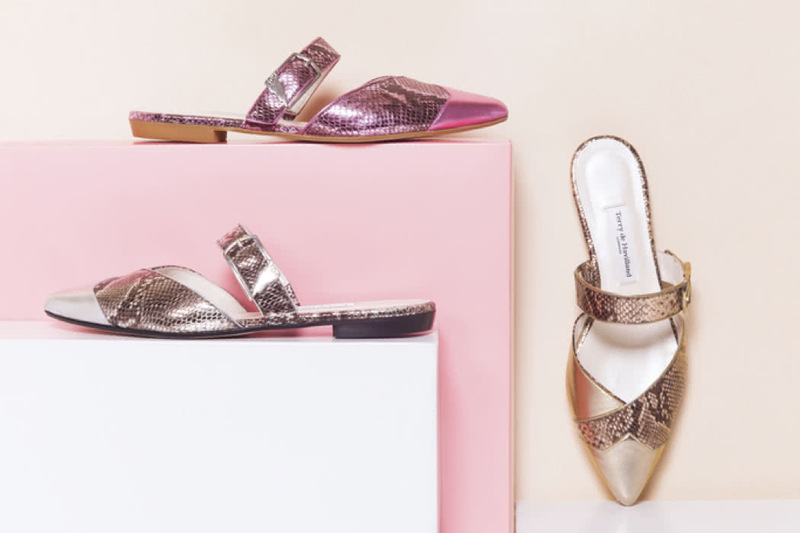 The New Collection features stunning snakeskin prints, chic rose gold in a reassuringly-on-brand hit of glitter and the 80s is bought bang up to date with electric pink and turquoise Bowie-esque killer heels. 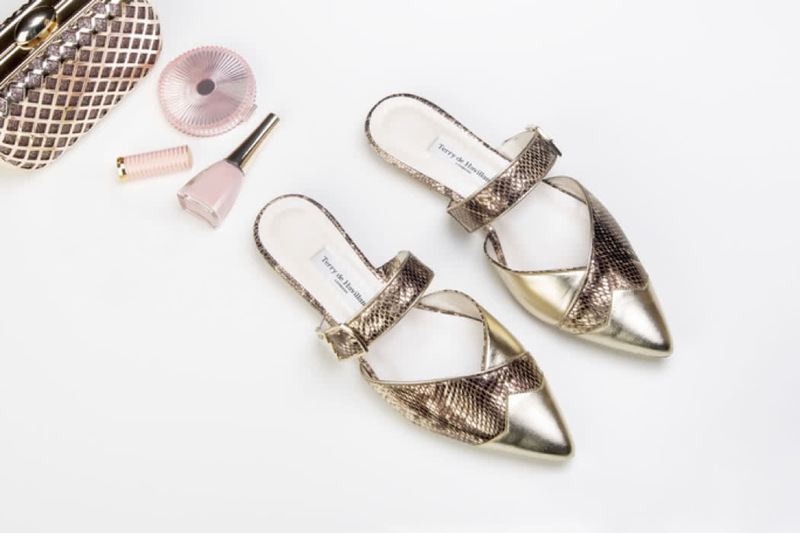 The snakeskin numbers, which are actually python, come in the iconic block heel styles, as well as a very comfortable flat mule that loses no style-points despite its low height and are another favourite among the A-listers. The “Daisy Gold” which comes in metallic gold and faux snake leather is probably my favourite but it’s very hard to choose just one! 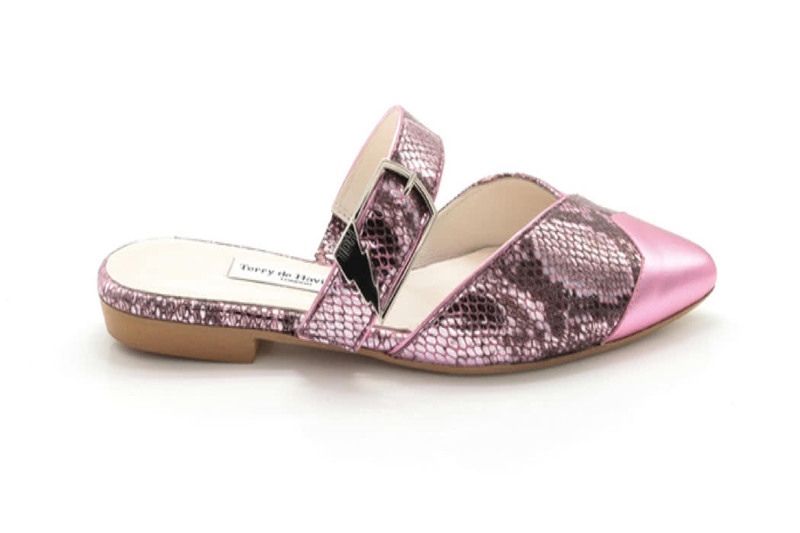 For hot summer nights, I’ve got my eye on the Ava Rose Gold; a glittered fabric and metallic leather shoe that stands at an impressive 11cm with a peep toe and delicate, slingback heel strap it’s perfect for my luxury travels this season.